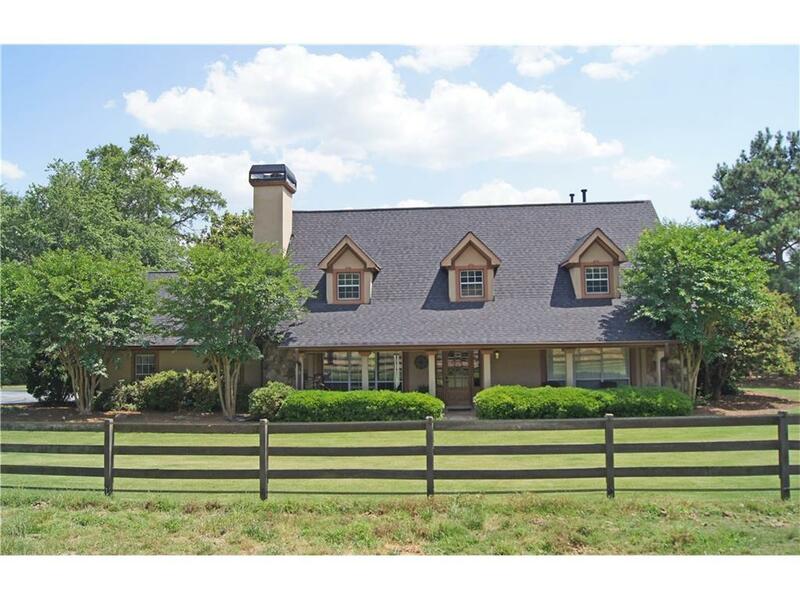 Beautiful horse farm with 6 acres, large barn, pool and guest house is just a few miles from the Georgia International Horse Park. This gorgeous home has two story family rm, new granite in kitchen and baths, high-end professional appliances, huge pantry. Extra large master with stunning new master bath has heated floor(in shower too), marble & instant hot water. Great pool and pool house, could be made into separate apartment. NEW ROOF.New arena, spacious and fully outfitted barn, new Cenflex fencing. Barn can be converted for charming event facility, storage, etc. Directions: I-20 From Atlanta, Exit 78 At Sigman Rd. Go Right. Immediate Left At Iris Drive. Go 0.8 Miles To Right On Smyrna Rd. Go 3.4 Miles To House On Left.